The killing of the dissident journalist was planned days in advance, says the Turkish president. With the arrest of “a few intelligence agents,” he would not be put off. 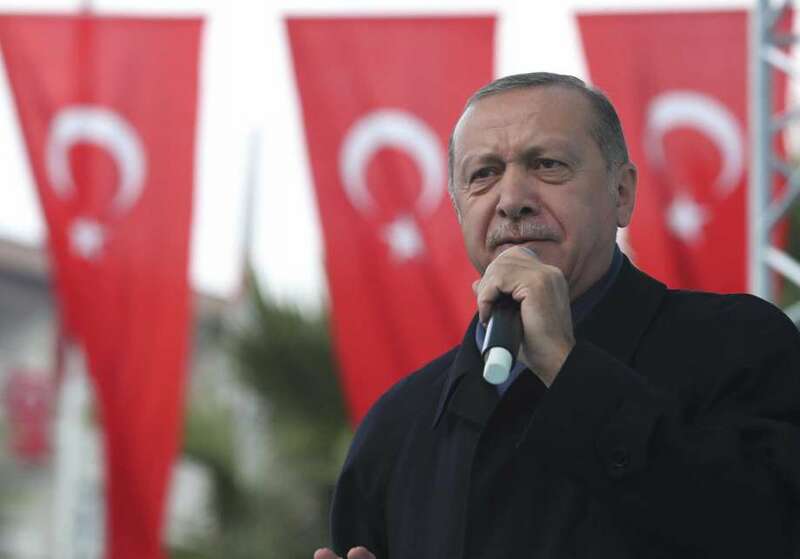 Turkish President Recep Tayyip Erdogan spoke in the Khashoggi case of a “murder plot”. Saudi Arabia had “cruelly killed” the government-critical journalist. There was strong evidence that the murder of Jamal Khashoggi had been planned days in advance, Erdogan said in the eagerly-awaited speech to the Turkish parliament. The President welcomed the 18 arrests reported by Saudi Arabia in the case. But they are not enough for him. Erdogan spoke of a “political murder”. With the arrest of “a few intelligence agents” one can therefore not be put off. He wanted clarification about “the orders” came from. A sentence that will put Saudi Crown Prince Mohammed bin Salman under pressure. In addition, Turkey wants to know where Khashoggi’s body is. Erdogan emphasized that no one could assume that the investigation into the case could be completed without all questions being answered. The Turkish president also wants to obtain the extradition of the Saudi suspects. Erdogan also described the current state of affairs in his speech: He confirmed that a 15- member special squad had traveled from Saudi Arabia to Istanbul and gone to the Saudi consulate. There Khashoggi was then “cruelly murdered”. Later, one of the Saudis who arrived, dressed in Khashoggi’s clothes and with a false beard, reappeared and traveled to Riyadh. The double should possibly put the investigators on the wrong track.